Mr Brokenshire updated attendees on the current political situation and emphasised the urgent need for NI's political parties to form an Executive, as well as discussing issues related to EU Exit. Secretary of State for Northern Ireland James Brokenshire MP held the latest meeting of his Business Advisory Group at Stormont House today - and urged the business leaders to continue adding their voices to the growing demand for a return of the devolved power sharing government. 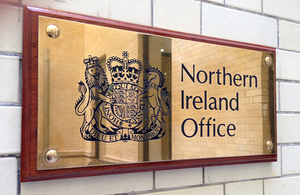 The session was the latest in a series of meetings to help businesses engage with UK Government and provide input on a range of strategic economic and business critical issues facing Northern Ireland, including developing skills, upgrading infrastructure, improving procurement and delivering affordable energy and clean growth. “I urged members to keep using their influence to encourage political parties to deliver a functioning and effective Executive so we can continue to build an economy that works for everyone. “Political stability is a fundamental basis for industrial success. Securing stable devolved institutions in Northern Ireland that will provide leadership, support innovation and boost skills will be integral to delivering on Northern Ireland’s potential as a place to invest and do business.